The acclaimed organized crime drama Gomorrah returns to SundanceTV tonight and things are looking tense in the Italian city of Naples. In the exclusive sneak peek below, rival mafioso Ciro Di Marzio (Marco D’Amore) and Salvatore Conte (Marco Palvetti) discuss a partnership to divide up territory once held by the Savastano criminal empire. While Ciro thinks the deal makes sense, Salvatore seems, well, unhappy with the whole situation in Naples. Italy’s most popular television series of all time, “Gomorrah” is based on journalist Roberto Saviano’s 2006 non-fiction bestseller of the same name. The novel has sold over 10 million copies worldwide and already inspired a movie. Director Matteo Garrone’s film won the Grand Jury Prize at the 2008 Cannes Film Festival. The first season of the series introduced viewers to the brutal Naples underground, where Mafia clans battle each other in increasingly violent ways. “Gomorrah” didn’t earn its stellar reputation by only highlighting nasty gang rivalries. Like “The Wire,” it meticulously explores the inner workings of organized crime. But like “The Sopranos,” it gets deeply personal by exposing the everyday dramas within the crime families. I was riveted by the first season, but I did have one tiny complaint. The show, like its subject matter, operates in shadows. It makes total sense that the cinematography would be dark, but sometimes I struggled to see what was happening. Despite the (lack of) lighting, I could not take my eyes off D’Amore, whose charisma as Ciro shines through the bleakness. Ciro is the right-hand man of Gennaro “Genny” Savastano (Salvatore Esposito), who wants to run the Savastano crime family. But his father, Don Pietro (Fortunato Cerlino), stands in the way. Season 2 picks up moments after the end of the first season: Don Pietro escapes from a prison van. Rival crime lord Conte ambushes Genny’s boys and Ciro shoots Genny. Ciro and Genny organize a meeting on neutral ground in Montenegro. Although the Savastano clan continues to stay divided, Ciro knows better than to underestimate them. Genny’s old men organize a robbery, but things go south. Therefore, he is forced to sacrifice a portion of the Savastano turf and break his father’s trust. 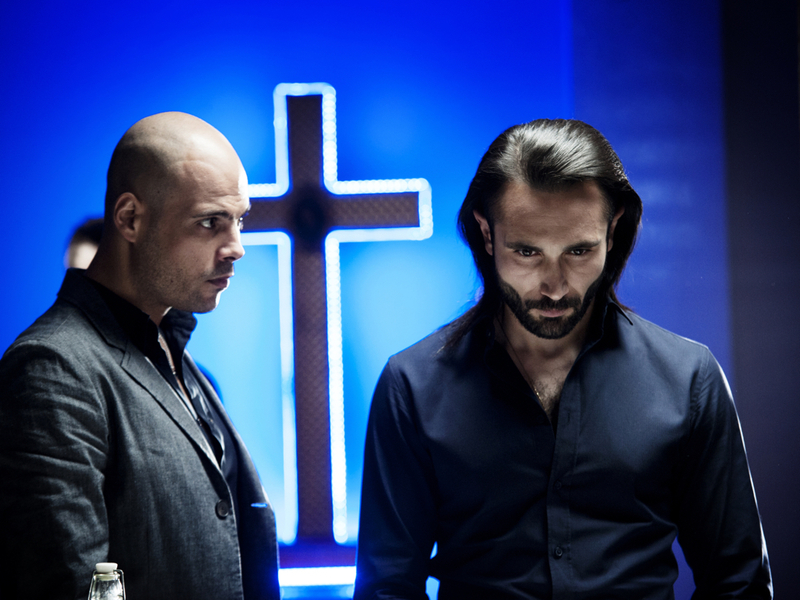 Sky Atlantic, Cattleya and Fandango produce “Gomorrah” in association with La7 and Beta Film. Stefano Bises wrote the show. Stefano Sollima, Francesca Comencini and Claudio Cupellini directed episodes. The two-hour Season 2 premiere of “Gomorrah” debuts at 10/9c April 26 on SundanceTV. Check out the exclusive scene, and a seasonal trailer, below.